Remember the days when every comic book captured your imagination, and took you to new and exciting places? When your heart was an open book, and you didn’t apologize for loving the comic books and creators that gave you bliss? Comic Book Fever relives that timeless era of 1976 to 1986, when comics offered all kinds of different genres to any kid with a pocketful of coins, at local establishments from 7-Elevens to your local drug store. Inside this full-color hardcover are new articles, interviews, and images about the people, places, characters, titles, moments, and good times that inspired and thrilled us all. 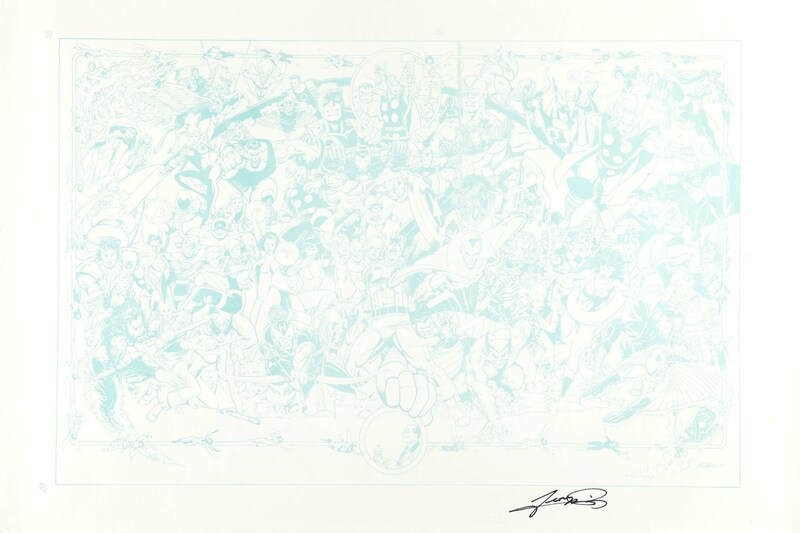 It features the icons and stars of the Bronze Age: Neal Adams, John Romita, George Pérez, Marv Wolfman, Alan Moore, Denny O’Neil, Jim Starlin, José Luis García-López, The Hernandez Brothers, The Buscema Brothers, Stan Lee, Jack Davis, Jack Kirby, Kevin Eastman, Chris Claremont, Gerry Conway, Frank Miller—and that’s just for starters. It also covers the phenoms that delighted Baby Boomers, Generation X, and beyond: The Uncanny X-Men, The New Teen Titans, The Teenage Mutant Ninja Turtles, Love and Rockets, Crisis ON Infinite Earths, Superman vs. Spider-Man, Archie Comics, Harvey Comics, Kiss, Star Wars, Rom, Hostess Cake ads, Grit(! ), and other milestones! So prepare yourself for a trip back in time to re-experience those epic stories, and feel the heat of Comic Book Fever once again! Written and edited by George Khoury (author of Kimota, The Extraordinary Works of Alan Moore, and The Age of TV Heroes), with cover art and introduction by Alex Ross! This product will be in stock on Wednesday 22 June, 2016. This product will be in stock on Wednesday 20 April, 2016. This product will be in stock on Wednesday 21 October, 2015. This product will be in stock on Wednesday 24 June, 2015.